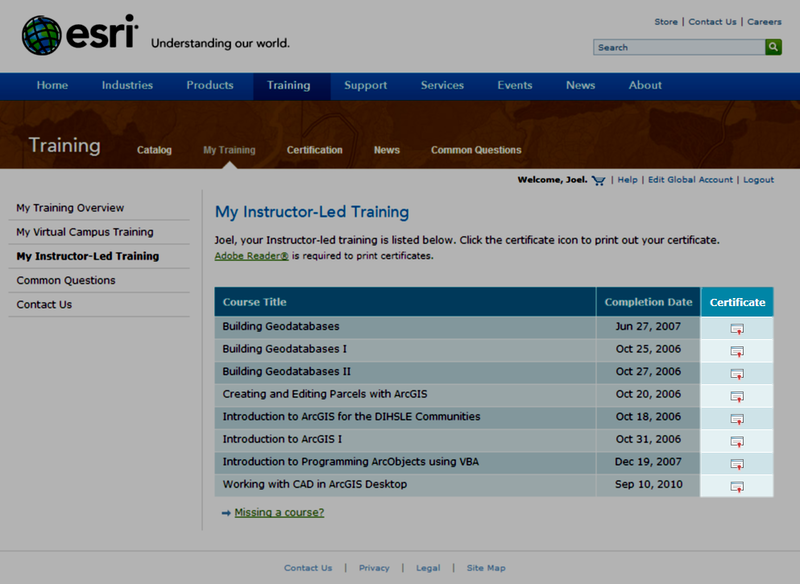 Not too long ago Esri transitioned to delivering class completion certificates electronically. This makes it a little easier to avoid misplacing them, making copies and retrieving them if lost. 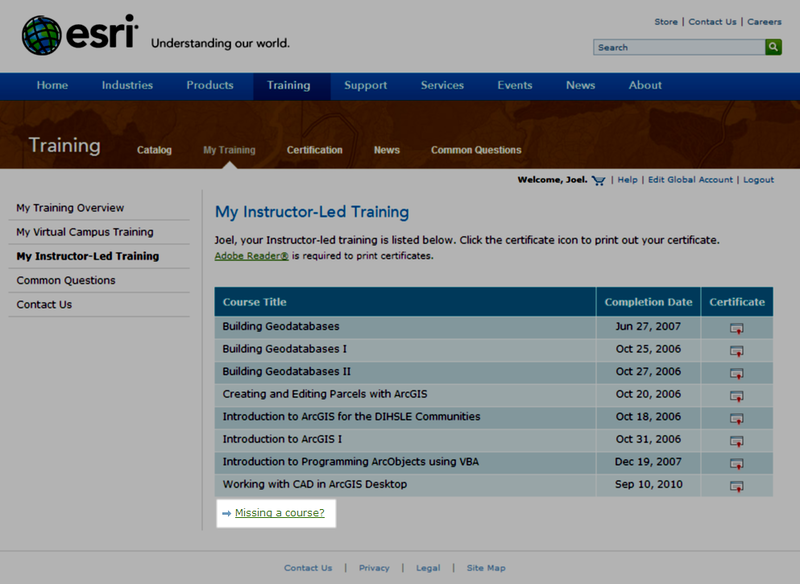 If you have attended an Esri class, you can find your certificate by pointing your web browser of choice to the Esri Training Site. 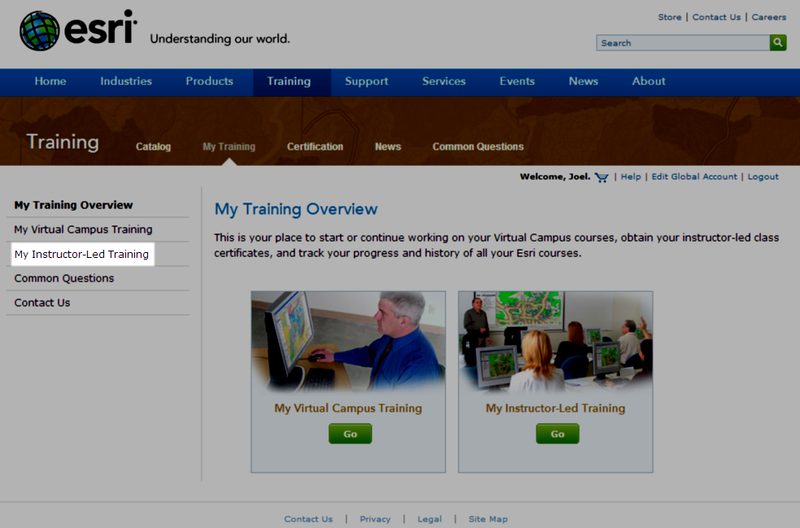 On the Esri training site, click on the link to access, My Training. 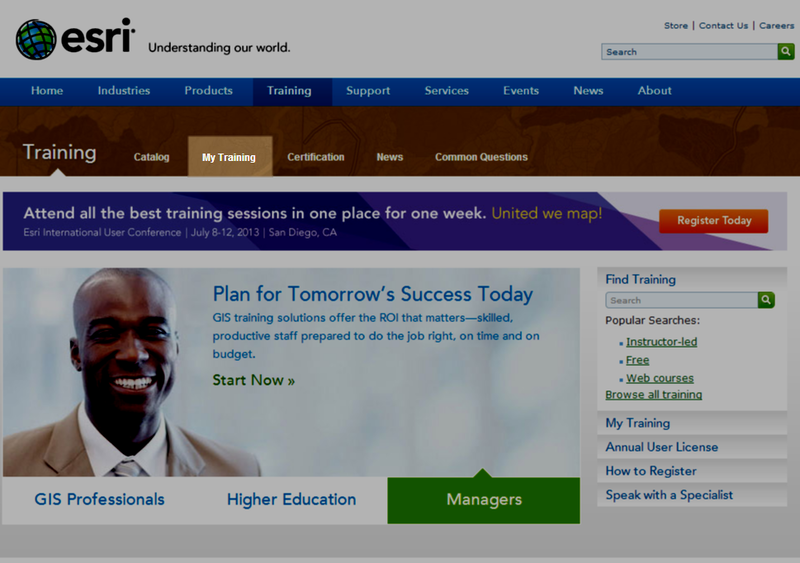 Once on the My Training page, click on My Instructor-Led Training on the left side of the page. If you are prompted to log into the Esri site, use or create an Esri Global ID to use for interacting with the Esri sites. Once logged in, you should find links to view or download your certificates on the left side of the page. 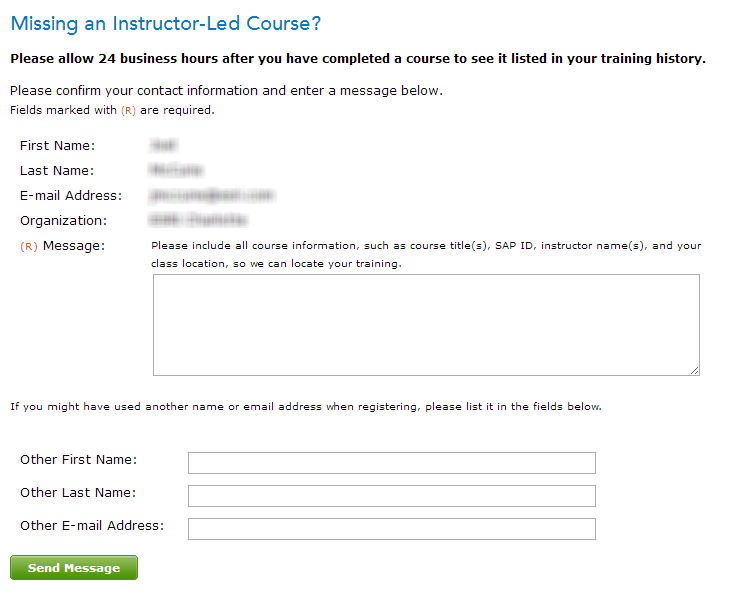 If the course does not show up, simply click on the Missing a Course link at the bottom of the page. 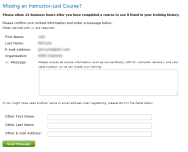 This will bring up the missing a course form, where you can request to get credit for a course. The most common reason for a course not being associated with your account is a discrepancy between email addresses, normally between your work and personal email. If you were registered for a class with your work email and your Esri login is associated with your personal email, simply indicate this in the form and you should be good to go!